imagination of what it is to be human. Jonathan Z. Smith's new introduction provides the contextual background to the book and presents a critical outline of Eliade's argument in a way that encourages readers to engage in an informed conversation with this classic text. colleague at the University of Chicago. His recent book, Drudgery Divine, aims to expose the sectarian purposes that led Protestant historians to isolate "primitive Christianity" from its contexts in ancient religions, an expose that Smith's own background in Judaism makes him ideally suited to carry out. As a theorist, Smith emphasizes the active role of intellection in all scholarly enterprises. He insists that the aim of religious studies is distinct from that of religions ("map is not territory"), that "religion" is a category "imagined" by Western scholars to accomplish certain academic purposes, and that theoretical questions and purposes should explicitly guide all investigations. For example, Smith states that when scholars compare religions, their immediate concern should not be with finding similarities that pervade a large body of data (cp. 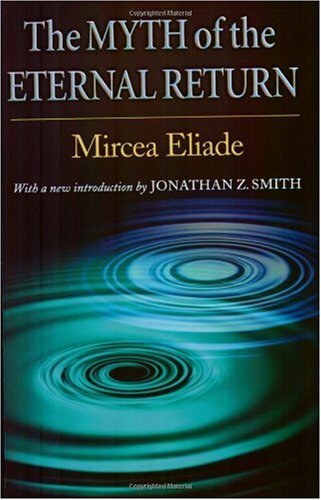 Eliade), nor should it be to determine who borrowed what from whom (historical diffusion). Instead, the purpose of comparison is to identify individual differences that assume significance because they elucidate specific theoretical issues. Smith's distinction between locative religions---religions that pertain to specific places---and utopian ones---religions that have broken their bonds with place---is especially helpful in considering the history of religions in the Hellenistic and late Antique periods. Smith's work is itself too recent to have been the subject of a scholarly monograph, but readers will find Smith's influence extending widely through the study of ancient religions. Those who want critical assessments may wish to consult book review indexes.